The exhibited series of Michal Škoda’s A4 collages does not hang in the Fotograf Studio just by chance. Programme-wise the gallery is interested in various approaches and treatments of the photographic medium. 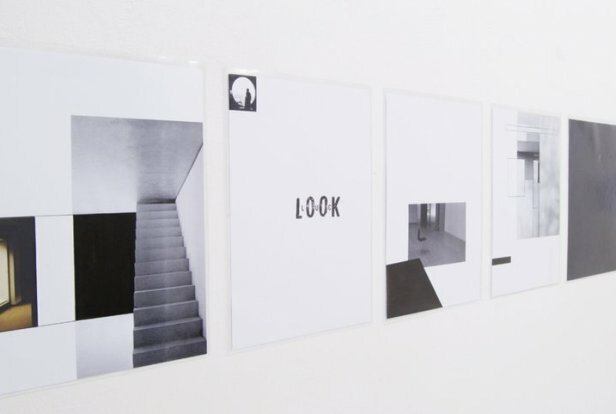 Michal Škoda systematically develops a post-minimalist programme both on a practical level – in his drawings, paintings and objects – as well as theoretically – as the director and curator of the House of Art (Dům umění) in České Budějovice. Lately he is most interested in the field of copyrighted books, where one can without concern unhesitatingly classify exhibited collections according to specific genre. The temporal nature of the work, which references a diary-like form of records (in many places expressing a relationship to music and exhibiting aural associations), helped form the name of the exhibition – Records. All of Michal Škoda’s work stems from observations of objects and phenomena, which he transfers to new original constructions. Taken together, diaries and collages are devices traditionally considered to be a memory-recording medium. However, Michal Škoda gives them a much more definitive form, which retains the aforementioned function but, at the same time, frees this method of recordkeeping from extreme individualism and its commemorative nature. In this way the artist transfers his own thinking into an abstracted system of an original language, which, thanks to its intuitive foundations, is generally accessible and functions on the basis of common subconscious patterns. The artist thus uses photography to take over external space for his internal needs. For him, photography is essential for capturing all discovered motifs and defining a specific composition. Subsequently, it provides material which does have a comparable hierarchical position as the other materials that are used, with the difference that it often becomes the initial motivational source the author further freely develops into distinct geometric or other meaningful configurations. Another frequent subject is typography, reminiscent of the constructivist starting point of Škoda’s works, Lettrism and Teige’s constructivist poetry (common motifs include basic household items – chairs, a window, a table), or of the visual poems of Vladimír Burda and others. The minimalist expression apparent in Škoda’s other works is not as strict in this case and is open to even more random combinations. The relationship between the surface and the lettering, literature in open space, architecture, graphics and meaningful symbols, geometry, and the physical material of the collage is as much emotional as it is rational. The various contents and moods contained in the records define the tension that exists between these two ends of the spectrum. Some evoke a feeling of a formal or ritualistic exercise, turning into a significant existential experience or phenomenal event; others involve loose associations, even extroverted humour or, conversely, introversion. 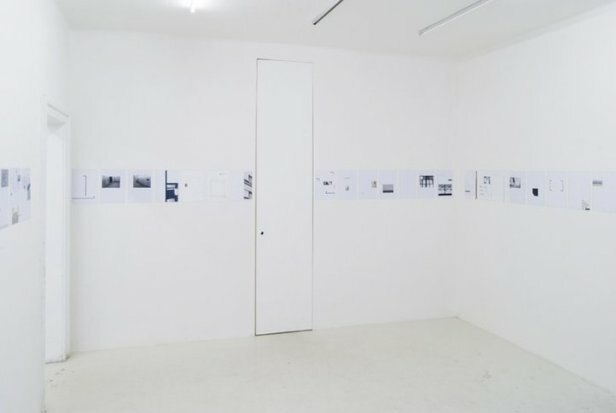 During this process, the photograph becomes not only the medium containing the record, but also something recycled, in the same way as other materials: newspaper cuttings, invitations, envelopes, stickers, small maps, and so on. 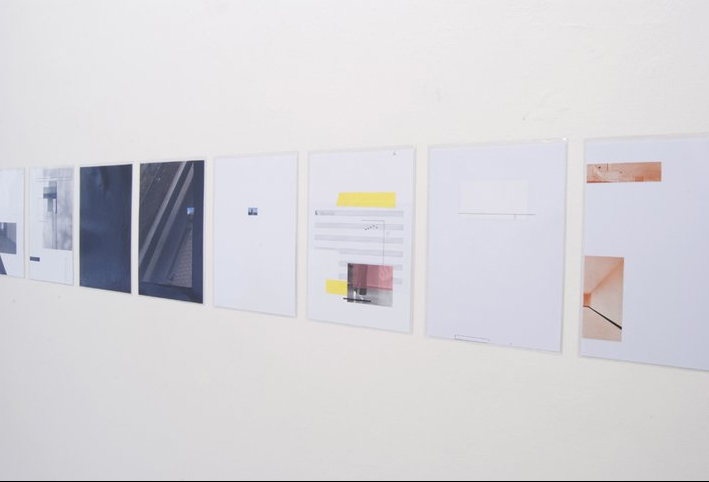 Their contents are further thematised with the help of drawings, sticky tape, and the art of collage. 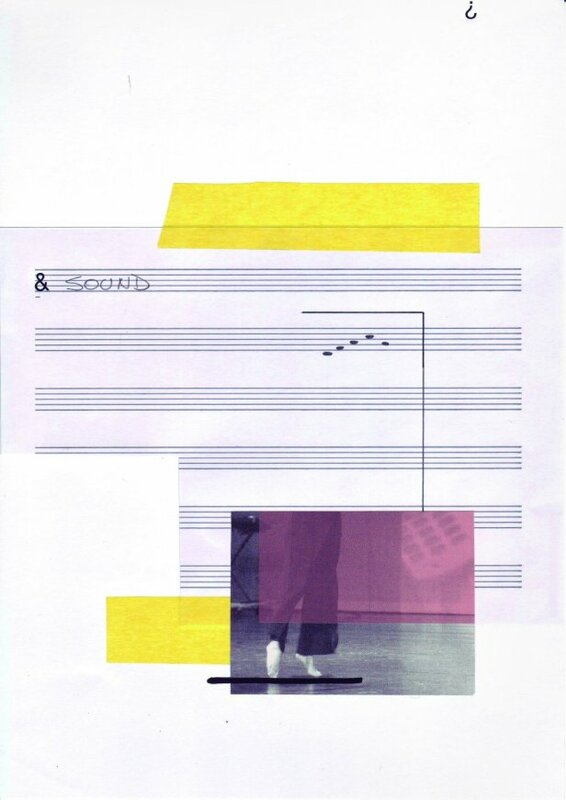 Even the text is recycled, with the exception of certain typographical symbols and letters (frequently the letter ‘A’, maybe because it marks the beginning), and decoupage and template headings, some of which evoke a connection with music. 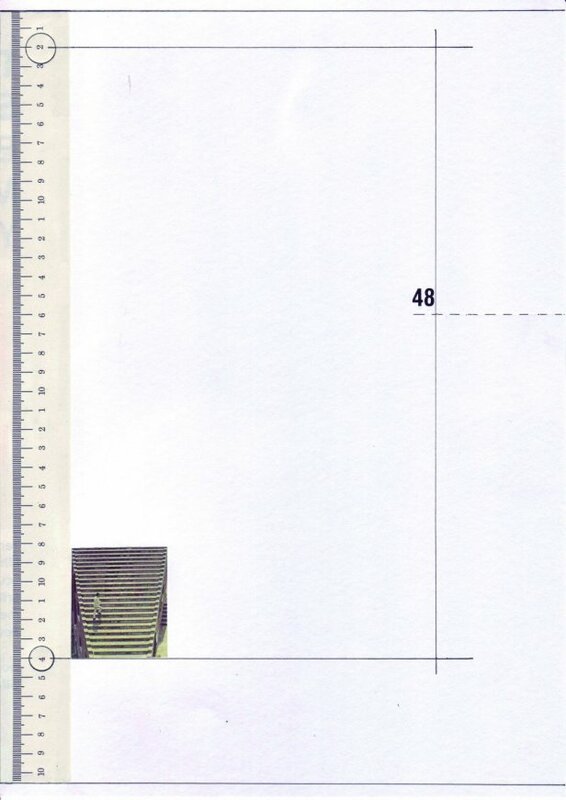 Through combining the art of collage and drawings using a universal A4 format, Michal Škoda creates an unrestricted structure for contemplating space, the cultural environment, and well-organised examples of the effects of civilisation, often of an architectural nature. Architectonic diagrams embedded into a quadratic A4-format playing field are based on the already quadratic transformation of ground plans, urban units, and the motifs of facades, with emphasis placed on rhythm and the shapes of the window openings in the physical buildings. The interlinking of space and time indicators provides a graphic visualisation through the rhythm of the surface as a textual interpretation, frequently using English concepts and slogans such as ‘At this time on this place’, and ‘When is a time, where is a place’, and others along the same lines. The time-lapse nature of the work is given by the materials that are collected and used, which the artist adds to the playing field according to mood. The captured unity and the divergence of time and space are the framework used for the indicated life experiences and sometimes even destinies. To what level we are dealing with personal records is up to individual interpretation. The architectonic and geometric constructions are sometimes of great magnitude, at other times they occur almost inadvertently, like doodling in a diary while making a phone call. The form the work takes is somewhat reflected by the sheets of paper themselves, but not entirely, because it is only a particular set, a specific number of sheets that are mutually correlated, that presents a more definitive message about the artist’s thoughts. Some sheets work within a two-page context, sometimes there are more that are linked together. 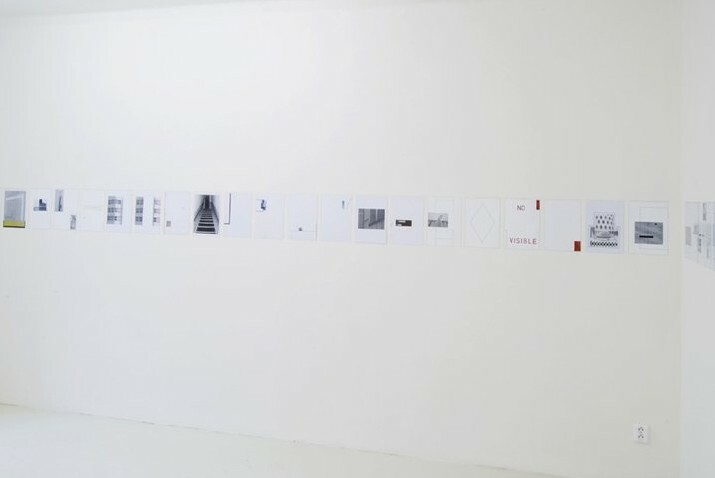 This type of art, which lightly distances itself from being an artefactual icon, supports the reading value of the created work and, like a book, makes it possible to reveal more of the artist’s world, his laboratory, therefore giving the viewer more open opportunities to understand the creator’s motivation and subsequent messages. 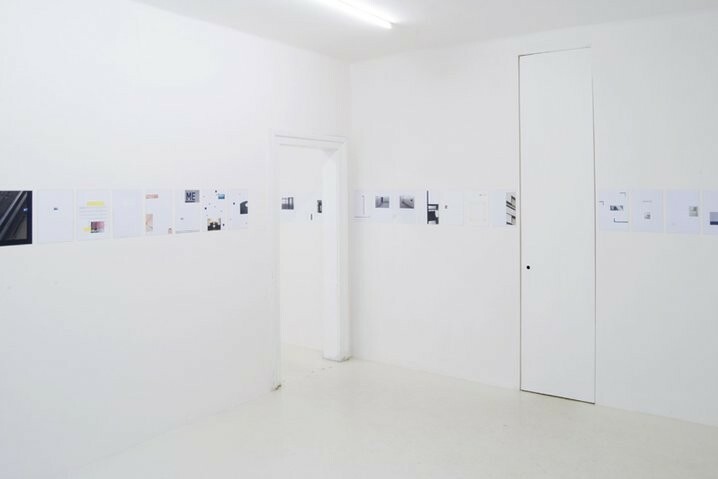 Due to the intimate nature of the Fotograf Gallery space, we were forced to disrupt the temporal logic of the records and to select only certain sheets from 2008 to 2009.